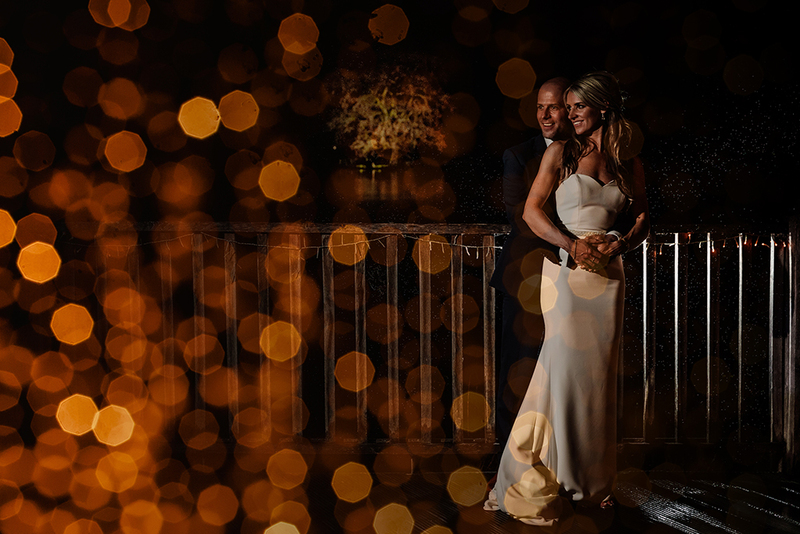 A wedding with wow factor is a must when planning a seasonal celebration. 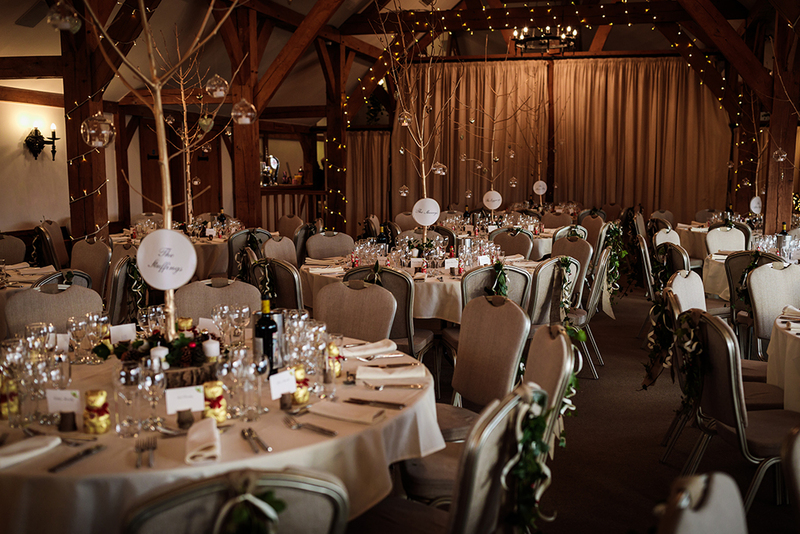 If you are embracing the idea of a winter wedding, then the stunning interior of Sandhole Oak Barn is packed with possibilities. A welcoming and light-filled space to enjoy a magical reception with friends and family. 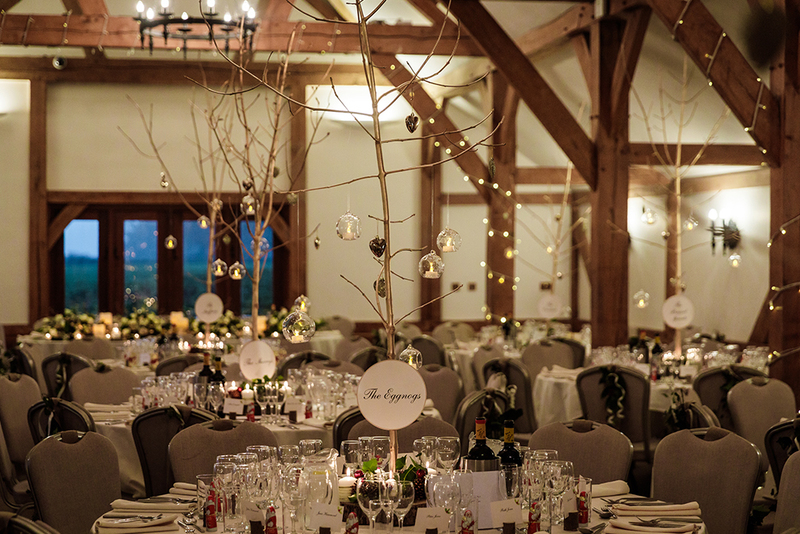 Festive flourishes and natural materials enhance the interior of the barn; seasonal foliage alongside the oak beams creates the perfect setting for a rustic Christmas theme. Hessian and pinecones with reams of festive ribbons, trimmings and glass can create your own fairy tale at this most wonderful time of the year. 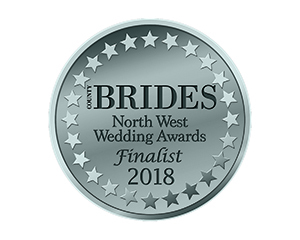 The large windows in the Oak Barn flood the space with natural light, especially important in the winter months, and also provide panoramic views of rolling Cheshire countryside. 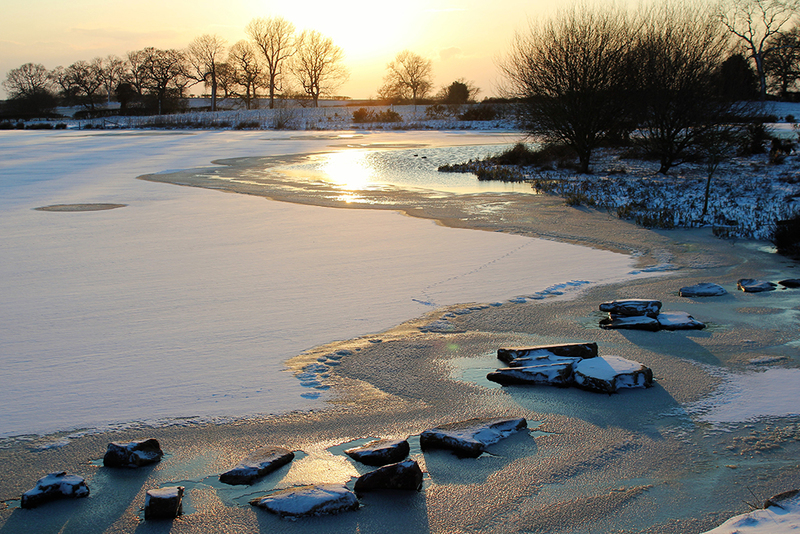 Whether it is a sparkling frost, velvet coverings of snow across the fields, or a shimmering winter sun low across the lake – Sandhole really is a winter wonderland for your ceremony and reception. 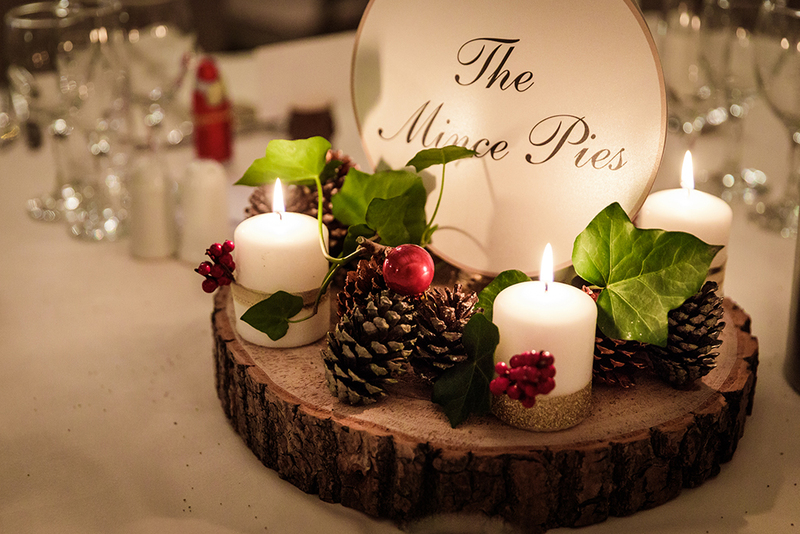 Your guests will enjoy the best seasonal produce on offer, provided by our approved award-winning caterers Top Table, as they relax in the cosy surroundings of our medieval Oak Barn – a twist on the traditional roast, a chic rustic feast perhaps, or even a fusion of festive ideas from around the globe. Consider the intimacy of informal service with platters, antipasti or delicious tapas. Good food is at the heart of any celebration with your nearest and dearest. 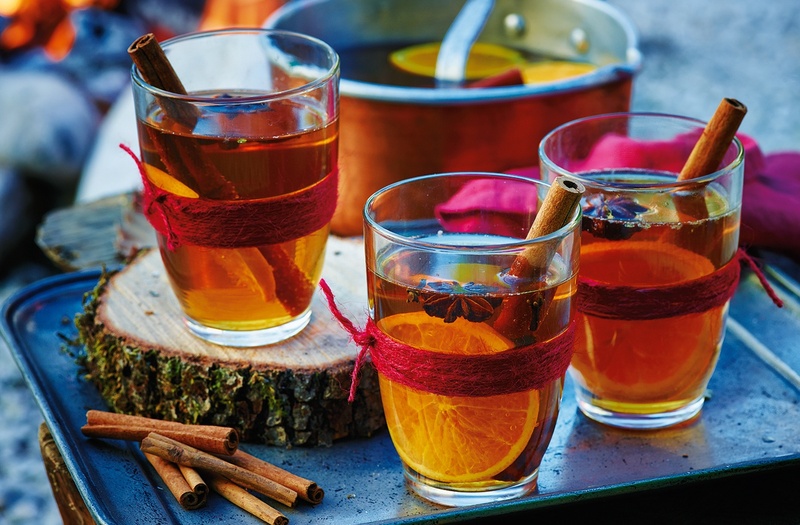 The bar team can ensure that a glass full of festive cheer, spiced cider, or even a mulled wine will keep your guests warm this winter. More traditional couples might find that the season inspires them to ‘pimp’ their Prosecco. 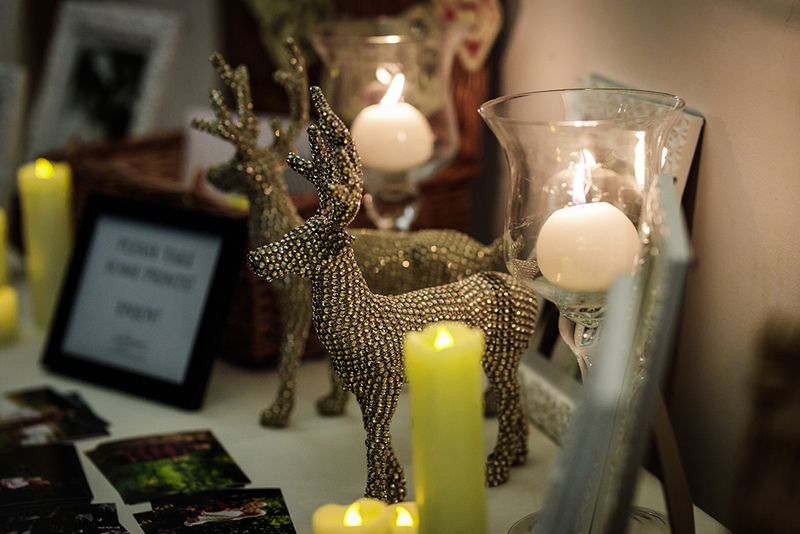 A retro theme for food and drink can bring a blast from Christmas past… Babycham anyone? 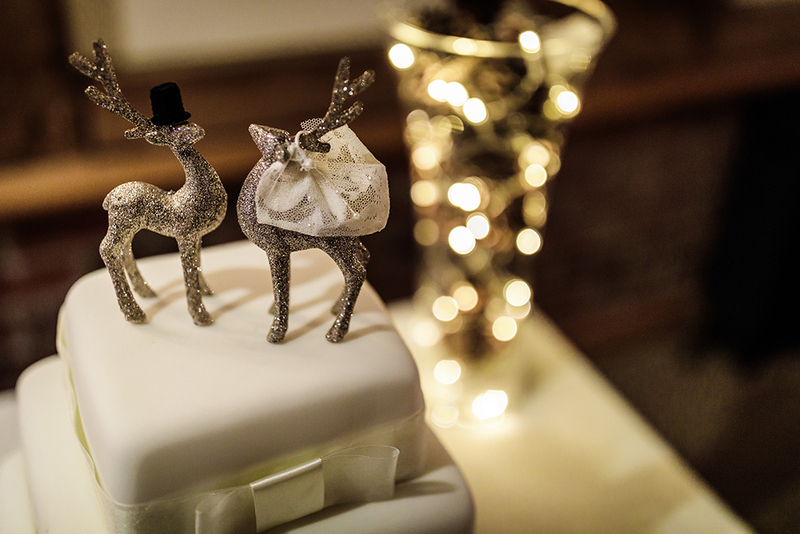 Everyone loves a white Christmas, and naturally a white wedding… at Christmas the possibilities are endless in the season of sparkle and colour. A boho bride can be inspired by the colours of autumn fading into winter, while a Vintage bride can wrap herself in fur and sparkling lace. 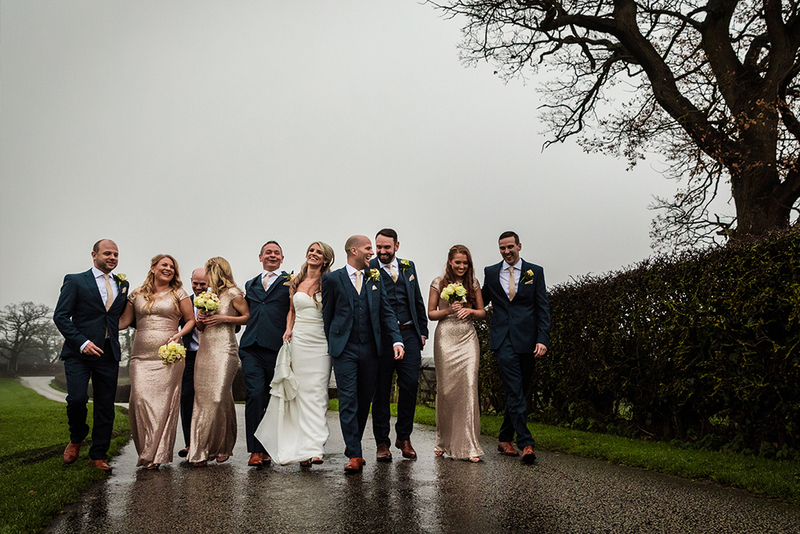 For the Well Groomed amongst us – guys can take inspiration for their attire from this idyllic rural setting with suits of tweed, warm wools and country chic. When it comes to décor the blank canvas of Sandhole Oak Barn can take on any theme. 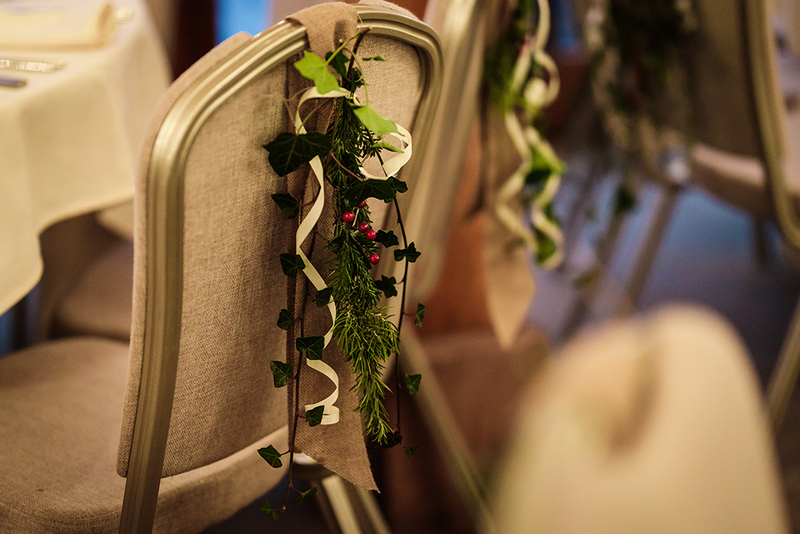 If your approach is ”less is more” then the bare beauty of the neutral dining room and ceremony area comes to life with the lightest touch of festive sparkle. 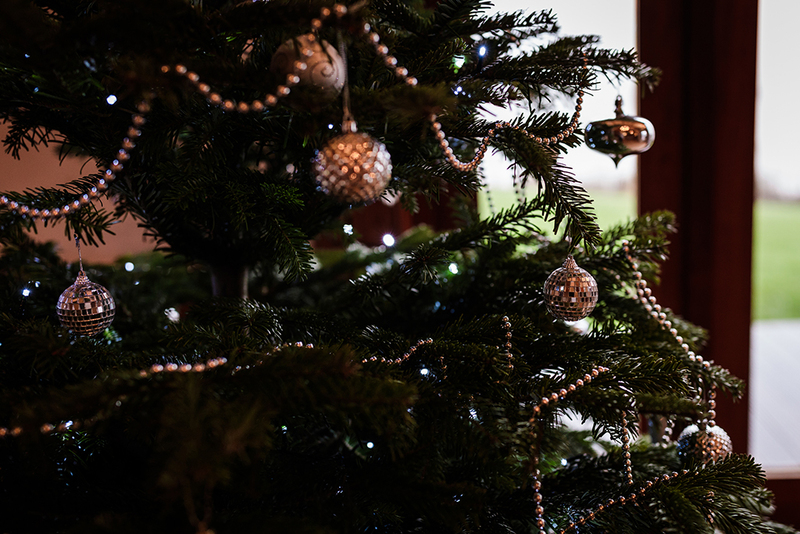 The key themes of Christmas are fun, family and friends, so make sure to consider them in the detail of your plans. Handwritten place settings will personalise your day, like the gifts under the tree. Retro games to entertain your guests will in turn bring out everyone’s inner ‘big kid’ as if it were Christmas morning, or even provide a table theme. 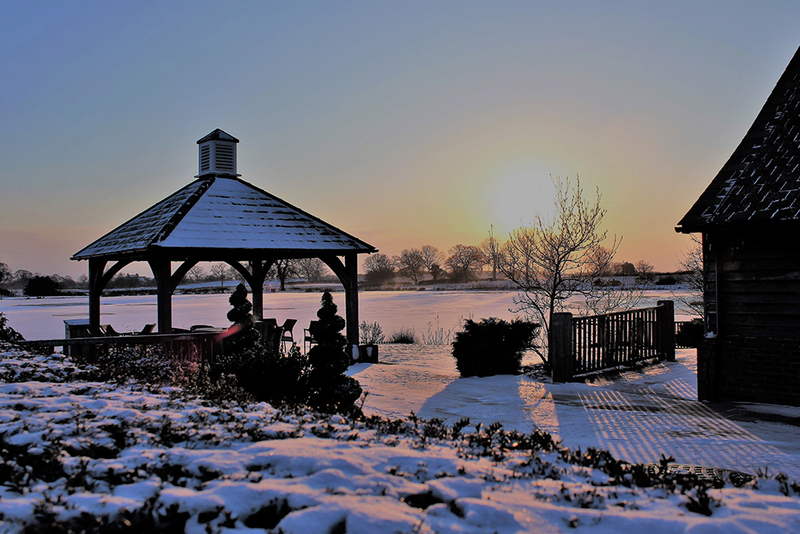 If you’re planning a barn wedding and considering a winter ‘I do’, we would love to show you all we have to offer. 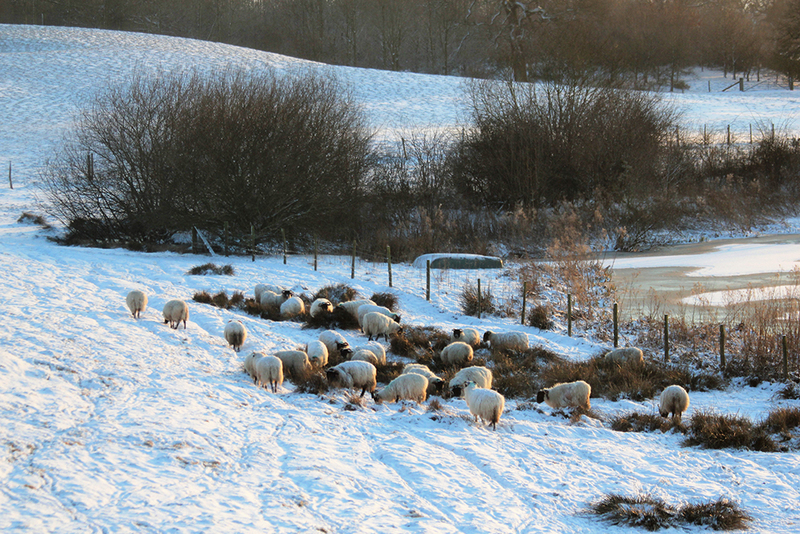 Call our friendly show round team on 01260 224215. 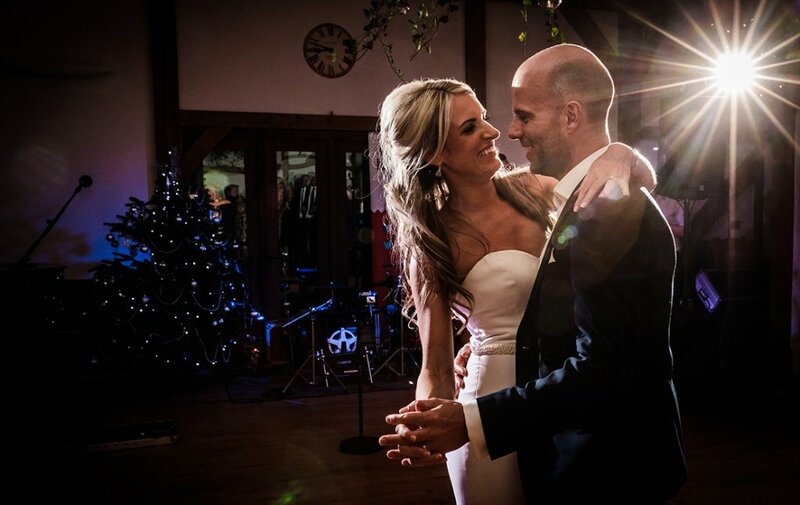 If you think this stunning barn wedding venue is the one for you, take a look at Why Couples Fall In Love With Sandhole Oak Barn and see if you do too!